Shallow mount subwoofers refer to the space saving and compact sized small subwoofers that are designed to generate a powerful sound and bass effect. Not only they are smaller, they are also lightweight and a lot easier to install in your vehicle. Normally, they look like regular components, but they could provide a deeper sound. In this post, we are going to discuss everything there is to know about the best shallow mount subwoofer. We have here the top 5 picks for the best ones, including a summary of their best features and a list of each product’s pros and cons. We will also tackle the many advantages, as well as disadvantages of having a shallow mount subwoofer, how it is compared to regular subwoofers, and the best places for a shallow mount subwoofer. 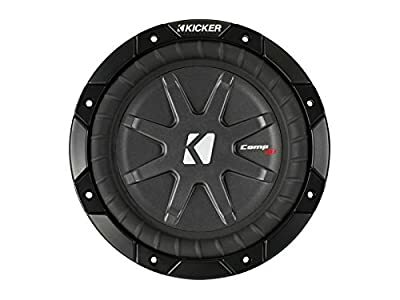 The Kicker 8-inch subwoofer is a weatherproof and thin subwoofer that comes with a dual 20 voice coils, making it ideal for power sports, ATV, UTV, and other marine and boat activities. Its motor structure has a large diameter and features a progressive roll spider that provides an increase in linearity, as well as low distortion. This subwoofer also features an inverted bumped back plate and a bumped top plate that allows full voice coil margin and excursion for exceptionally deep bass. Did you know that you can also match this subwoofer with a PX amplifier? Interestingly, matching these two would create an outstanding combination of size and power. In addition, the Kicker 8-inch subwoofer would work best with a ported or sealed enclosure and recommended power is 300 watts. However, you can go as much as 600 watts at the maximum. With its weatherproof construction, this product would be perfect for you if you are a fan of power sports, even marine or boat activities. If you are looking for a good shallow mount subwoofer that will be able to produce big bass, you might want to consider the Rockford Fosgate R2S-1X10 Prime Subwoofer. It is engineered to be 5 and a quarter inches deep and has an enclosure that is measured at 5/8-inch wide with medium density flip board. This board, which is protected by black rubber, makes it highly durable and long lasting. It is also noteworthy that the enclosure for the Rockford Fosgate R2S-1X10 Prime subwoofer is 10 inches and can handle around 250 RMS. In addition, it features a unique elevated motor enclosures that allow the subwoofer handle even the most intense compact enclosures in your vehicle. It also can hit the bass with clarity and will provide crisp and clear sounds. If you prefer a durable and long lasting shallow mount subwoofer, this would be ideal for you. 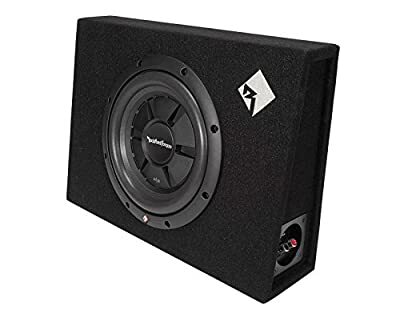 Another great product on this list of the best shallow mount subwoofers is the Rockford Fosgate R2S-1X12 Prime subwoofer, as it delivers big bass in your car without it taking too much space. It comes in a 5 and a quarter inch deep enclosure, which would make you think that this subwoofer is made specifically for cab truck owners. It is also worth mentioning that the R2S-1X12 Prime subwoofer by Rockford Fosgate is constructed with an enclosure of 5/8-inch thick medium density fiber board, which is protected by a rugged black rubber that makes it highly durable. It also is a very powerful subwoofer, as it is loaded with a Prime R2SD4 sub that can handle up to 250 RMS. This subwoofer is also wired with 2-ohm impedance and features a mica-injected polypropylene cone that comes with a poly-foam surround sound for a more accurate bass. Every purchase of this subwoofer includes the 12-inch subwoofer, 2 mounting brackets, 4 pieces of 3/4-inch self-tapping screws and an installation guide. If you want a subwoofer that can deliver bass without requiring too much space, you might want to consider this product. The VD series by Skar Audio has been proven to be a versatile and powerful subwoofer due to its space and mounting options. If these two have always been an issue for you, then you might want to consider choosing this product. This subwoofer is rated at 500 RMS power and features a high-quality 2-inch BASV voice coil. 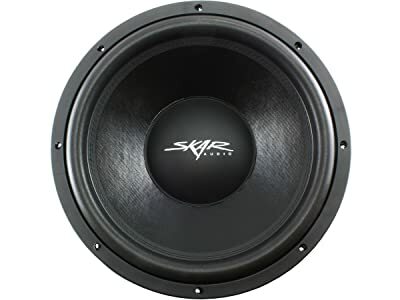 The Skar Audio VD-15 15-inch subwoofer is constructed from high-quality materials that are equipped with a strong foam surround and a 2-layer Conex spider that delivers high power handling. These components, specifically, allows the best fit in shallow enclosures while delivering the best performance. This product would be perfect for those who are looking for versatility in terms of space and mounting options. The JL Audio shallow mount car subwoofer will be able to deliver a powerful and strong sound, with its 13.5-inch diameter, making it a large speaker compared to other products. With its size, it is highly recommended that the only place for this one is the rear deck. For this subwoofer’s construction, it is made from durable and modern materials including polypropylene cone and Santoprene sound. While it is a bit big for a subwoofer, you only need 2.5 inches of space to fit its shallow body. Because of its size, your expectations of it being a very powerful subwoofer will be justified. It has the capacity of handling up to 600 watts of RMS power and peak at much as 1200 watts. This feature is already better than most regular in-car audio systems. A downside, however, is the price. Getting this high-quality subwoofer would cost you hundreds of dollars but you can expect a very powerful unit with its price. This product would be ideal for those who want to invest in a high-quality shallow mount subwoofer. Before you purchase a subwoofer, you must understand first the benefits you can get from subwoofers, as well as some of its disadvantages. This section is very important because you will be able to evaluate if you really need a subwoofer or not. First off, shallow mount subwoofers are lightweight and very portable, which would ultimately mean that you can use it anywhere you want. With its name, shallow mount subwoofers are very easy to mount compared to normal-sized subwoofers. With its portability, you will be able to install it at any time, as well as remove it. You can also transfer it to a more suitable location according to your preferences. Lastly, if you are fond of listening to music while you are on the road, having a shallow mount subwoofer would make driving a lot more enjoyable. If you are not yet familiar, two of the biggest issues against shallow mount subwoofers are the bass and sound quality. These two can easily be distorted, especially if the subwoofer is constructed from low-quality materials. In addition, there are easily breakable parts, which would likely cause serious damages and expensive repairs. This disadvantage alone is a potential inconvenience if you have a shallow mount subwoofer. As mentioned in the previous section, shallow mount subwoofers occupy a relatively small space, and it would be your best bet if it is portability you are after. They are also lightweight, which means that you will not find it difficult to transport it when you need to. Regular subwoofers, on the other hand, is a bit heavy and it would be a tedious task to move from one place to another. Compact subwoofers do not offer the best quality as the regular subwoofer. While it can provide a chest-thumping bass, it would not be as clear as the sound of regular subwoofers. One explanation would be its shallow body being a little condensed that makes its cone movements limited. Another thing to compare between the shallow mount and regular subwoofer is durability. If you would notice, compact subwoofers are less durable due to its exposed parts, unlike the regular ones. Because of the compact subwoofer’s construction, these parts are more prone to the environment-caused damages. 8 inches subwoofer – Considered the smallest size for a compact subwoofer, the 8-inch subwoofer will be able to product fast-paced sounds. It is ideal for people who into a soft or light bass. 10 inches subwoofer – The 10-inch subwoofer is one of the most common sizes for a subwoofer. They are popularly known because it is safe and well-rounded. In addition, you can keep up with fast-paced sounds with this size of a shallow mount subwoofer. 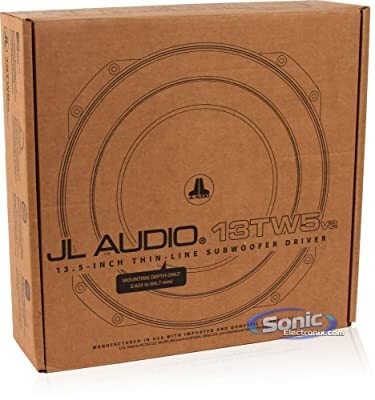 12 inches subwoofer – If you want a subwoofer that will deliver heavy bass while producing and covering a deeper range of frequencies, the 12-inch subwoofer would be perfect for you. One thing to note, however, is that it does not tend to work well with fast-paced sounds such as heavy metal and rock. On the upside, the 12-inch subwoofer is perfect for club, pop, rap, and even electro music. 15 inches subwoofer – The 15-inch subwoofer might be considered an over the top subwoofer because of its loudness. For you to be able to maximize the functionality of a shallow mount subwoofer, the position and place where you put it in is a very important factor to consider. There are only a few good places to position your subwoofer and it is dependent on the sound you are aiming for. The place would also be highly dependent on the amount of space available inside your car, as well as the amount of bass that it can handle. In this section, we are going to discuss the two best places to set up your shallow mount subwoofer: the truck and the rear speaker deck. The trunk is considered one of the best places to put your shallow mount subwoofer. If you are looking for big bass sound, placing the subwoofer in your trunk would be ideal. This position is also perfect if you prefer feeling the music, instead of just hearing it. It is also proven that you will able to feel every single beat and bass from the music you are playing in your car. In addition, it can get you the loudest sounds from outside without having to compromise the quality. If you want the music coming from your vehicle be heard from far away, this would be ideal for you. Your shallow mount subwoofer can also be placed on the rear speaker deck if you want to pick every single detail of the music you are listening to. Placing the subwoofer here would provide clarity for both the low and high notes being played. In this position, the music will sound realistic and has more dimension, which would make you feel like you are there in the music. The best shallow mount subwoofer has been proven to be a valuable investment. As mentioned above, it has several advantages but would only be true if you have the product that is right for you. For this reason, you need to carefully evaluate each product in the reviews for you to be able to narrow down your choices. In addition, you would want to take note of the different sizes and the best places to put your subwoofer in for you to maximize its functionality.